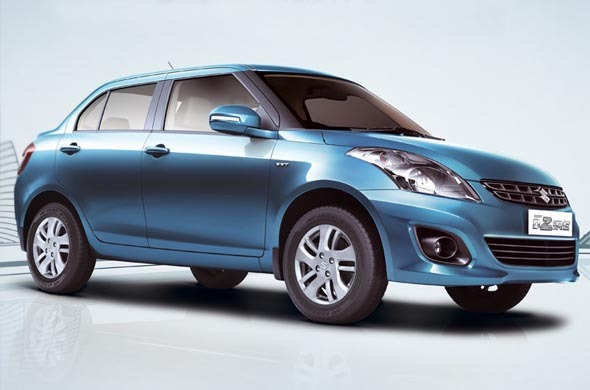 Maruti Suzuki Dzire price hiked by up to Rs.12,000! Maruti Suzuki has hiked the price of their Dzire model between Rs. 8,000 and Rs. 12,000 depending on the variant. CarToq contacted some dealers in New Delhi and Chennai who confirmed that the price hike has already been implemented. “The company is feeling the pressure of input costs. To mitigate the impact, we have hiked the prices of only diesel variants of the new Dzire with effect from May 1,” a Maruti Suzuki official was quoted as saying by a news agency. During the launch, the prices of the Dzire were in the range of Rs. 4.79 lakh – Rs.7.09 Lakh. During the 2012 Union Budget, the government hiked the excise duty of cars by two per cent. Hence, car makers including Maruti Suzuki announced a price hike across all their models. The prices of the Dzire were hiked by up to Rs. 12,700 now once again the Dzire’s prices have been hiked by Rs. 8,000 – Rs. 12,000. The sales of the Dzire have been an average of 15,000 units per month during the February 2012 – April 2012 period. The Dzire is the only sedan which has crossed the 15,000 units mark in a single month. The price hike comes at a point when the demand for Dzire is at its peak and hence potential buyers may not be put off even by this marginal price hike. « New regulation may make annual car fitness certificate mandatory!